Email, well who doesn’t know that? It is a well known fact that email is the most commonly used tool for sharing information of any form whether personal, professional or promotional. Information regarding newsletters to daily pin ups, routine activities to occasional messages, all is linked to emails. Being a highly supportive and reliable medium of transmission, Emails are used for pure marketing too. Yes, Email marketing discipline is in peak in the current trends. This is one of the reasons why Digital Velocity is a leader of the Email marketing companies in Punjab, India. agencies target the audience by focusing on the brand awareness, promotional offers, services delivered and latest trend setting scenarios on the behalf of the organization or clients. 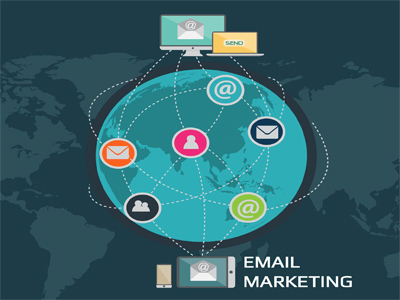 Hence, Email marketing is a brilliant way to direct people to your desired website leading to a definite increase in the business royalty resulting a secure place in the digital market for a longer run. Digital Velocity is one of the leading firm offering myriad of services like SEO,PPC,Adwords, Web Designing and Development, Mobile App Development and so on. © 2015 DigitalVelocity. All rights reserved.